This was Eddie Joseph's first card publication. As such, coming out in 1942, it represented already at that time 20 years of performing. It's unbalanced contents shows very much that it is not simply a book of card magic, but a summary of Joseph himself as a card man and his particular biases and interests. A chapter on his particular way of doing the fundamental sleights he depended upon and an entire chapter on the intelligent use of daub. 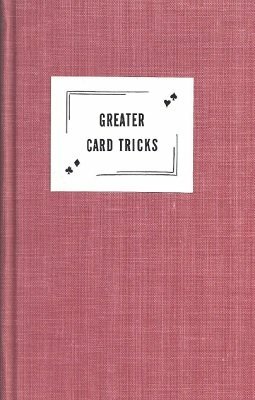 How to Prepare for a Series of Astounding Tricks Through "My System"
1st edition 1942, 101 pages; PDF 104 pages.